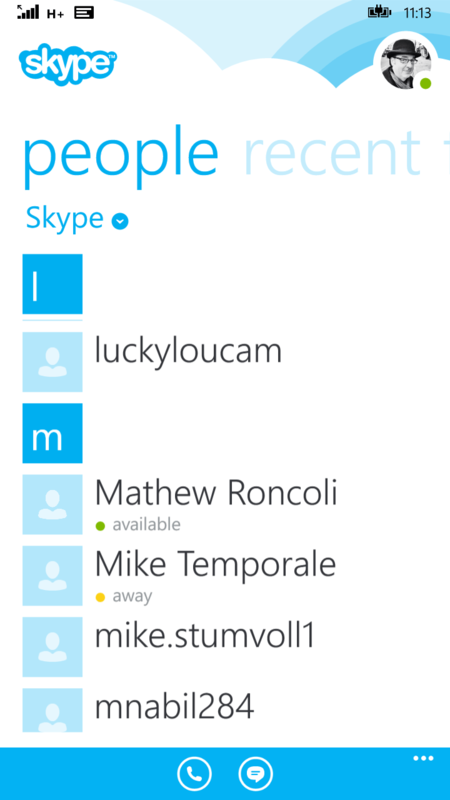 The Skype for Windows Phone app has received a minor update that those with higher resolution devices will appreciate. The update, version 2.26.0.159 for those keeping score at home, brings a new compact design which will have text much cleaner and smaller so you can view more on your display. This has been one of the big complaints about the Skype for Windows Phone app as it stands today and it appears that they have been listening. design is much cleaner looking and I can view far more of my contacts or content of messages than I could previously. Take a look at the screenshots to the right to see what I mean. The impact this has on lower resolution devices will be minimal. In addition to the new look, there are the normal bevvy of performance improvements and updates. Nothing is specifically called out in the release notes so it isn’t clear what exactly is addressed. 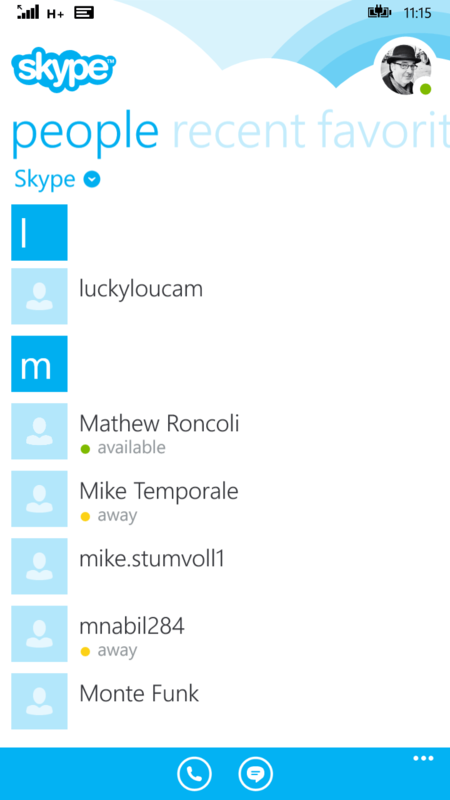 Skype for Windows Phone is a free app and available now in the Windows Phone Store.